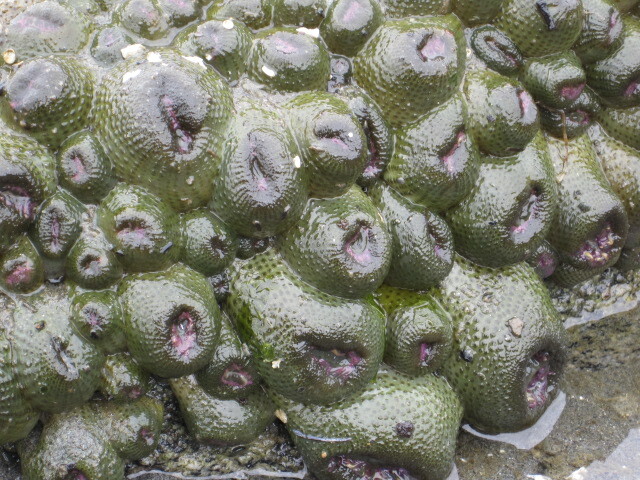 What are these ugly little things found on a rock at low tide? After a little research they are Giant Green Anemones. Go check them out & and you will see they are not quite so ugly when they are under water.